We will be back on Tuesday at 08:00 with all of the region's latest news, travel, sport and weather. 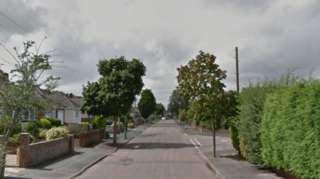 Two women have been rescued after a suspected arson attack on a house in Bournemouth. The neighbours had gone into the burning property in Milford Drive, Bournemouth, on Sunday afternoon in an attempt to rescue two cats. The occupants were not home at the time. The pair, who had inhaled smoke, were taken to hospital for treatment. It is thought the cats were uninjured. Fire destroyed the front door and caused heavy smoke damage to the house. Dorset Police said it was believed the fire was started deliberately through the cat flap in the front door of the property at about 15:00 BST. Planning applications in three Dorset districts are being delayed while the authorities overhaul their IT systems. North Dorset, Weymouth & Portland and West Dorset's joint planning department has moved staff onto the IT project which aims to "improve efficiency". The councils said new staff had been hired to cover the vacancies but it had caused planning department delays. The "major transformation of IT systems" is aimed at "resolving significant technical difficulties". The family of a man who was left with serious burns after drain cleaner was thrown in his face have released photographs of his injuries. Joe Davies, 23, also suffered burns to his chest and hands in the attack outside a property in Myrtle Crescent, Slough, on Saturday. He was discharged from hospital on Sunday following treatment, police said. A 43-year-old man was arrested in relation to the incident and has been released under investigation. Royals boss Jaap Stam has said his team's pre-season matches will be an early chance for his player to "get into a rhythm again". 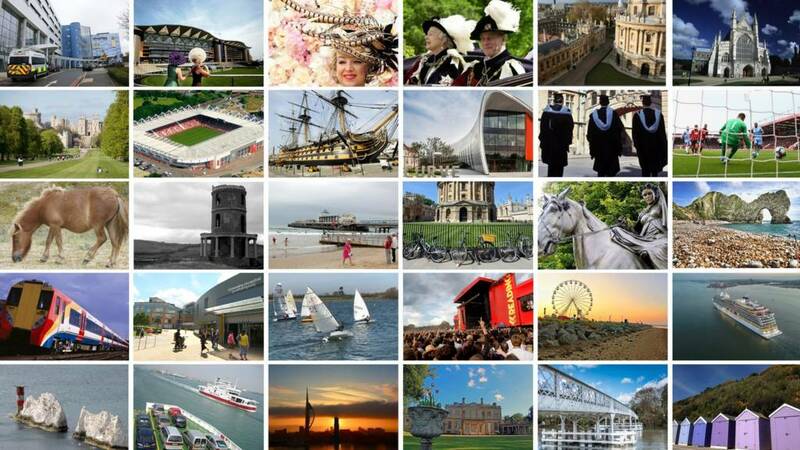 Oxford has started consulting on the draft version of a plan which will influence the city's growth over the next 20 years. It addresses issues like transport and whether taller buildings should be allowed in certain areas to create more homes in the city. The consultation will finish on 25 August, with a further consultation due next summer once the plan is finalised. Two neighbours entered the burning house to rescue a pair of cats they believed were trapped inside. A36 Hampshire northbound severe disruption, between A3090 and Shelley Lane. A36 Hampshire - A36 Salisbury Road / Romsey Road in Blackhill blocked and slow traffic northbound between West Wellow Services Roundabout and the Shelley Lane junction, because of a broken down vehicle. A man has been jailed for six and a half years for killing an off-duty prison officer on a night out in the early hours of Christmas Day. Nick Medlin, 57, died at the scene outside the Rose Inn pub in Pier Street, Ventnor, on the Isle of Wight. Michael Hudson, 33, of no fixed address, admitted manslaughter at a hearing at Winchester Crown Court. Mr Medlin, a father of two from Ventnor, worked at HMP Parkhurst and played bass in a local punk band. 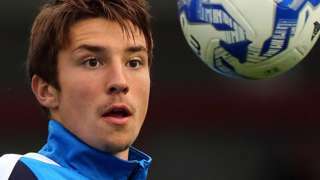 Striker Andrija Novakovich signs a new two-year contract at Reading and joins Dutch club Telstar on a season-long loan. Police are appealing for information following a suspected arson in Weyland Road, Headington, Oxford. The blaze started at about 04:00 in a downstairs room, but no one was harmed as a result of the fire and the house was unoccupied at the time. Detective Constable James Macaro said; "We are in the early stages of this investigation but we suspect that this fire may have been started deliberately. "We are asking for any witnesses to come forward. "We are particularly keen to speak to a man pushing a bicycle and a woman, who knocked on doors in the neighbourhood to raise the alarm about the fire." Anneliese Dodds has been appointed to Labour's front bench within a month of being elected as the MP for Oxford East. Ms Dodds, who is standing down as a Member of the European Parliament, has been made a Treasury spokeswoman by party leader Jeremy Corbyn. The Royal Household has advertised for cleaners in "all areas" of Windsor Castle, including state rooms and accommodation. No experience is needed for the post, which involves cleaning everything in the royal residence from "rest rooms" to "historic vases and irreplaceable paintings". Successful candidates are offered an unspecified salary, a pension scheme and a free lunch, in return for delivering "extraordinary service". A driver has been charged with seriously injuring two police officers in a crash on Portland Beach Road, Dorset. The injured officers were in a police vehicle which was in collision with a Volkswagen Polo at about 02:30 BST on Friday. Police said a 22-year-old Weymouth man would appear before local magistrates charged with causing serious injury by dangerous driving, assault and drink-driving. The organiser of Reading and Leeds, Melvin Benn, hopes drug testing will start soon at UK festivals but says the Home Office needs to issue a special licence for that to happen. Pilots took place at last year's Secret Garden Party and Kendal Calling. But festival promoters are waiting for the government's final approval to make sure they aren't breaking the law. Melvin Benn says he's hopeful to have a licence in place by the time Reading and Leeds starts in August. The people that are doing the drugs testing have to have a licence from the Home Office to be in possession of controlled drugs, otherwise they are in possession of illegal drugs. We haven't got that permission yet. When we get that permission, we can announce that it'll happen at Reading and Leeds, but until I get that permission I can't say it will." A four-week-old kitten has been rescued by RSPCA inspectors after becoming trapped in a drain-pipe in an office car park. The organisation said it took several attempts to extract the kitten, who was "well and truly stuck" in the pipe at Bartley Wood Business Park, Hook, on Wednesday. Animal Collection Officer Philip Hamilton said: "The staff who called us said they’d also seen a mum and three other kittens. Hopefully the family can be reunited." How are the legs, Steve? Salisbury City boss and former Portsmouth striker Steve Claridge started himself in a friendly against Portsmouth on Saturday. The 51-year-old had 10 players absent for the pre-season match and spent 81 minutes in action. He spoke to Joel Holt after the 3-0 defeat. A woman has pleaded not guilty to the murder of Nadine Burden, 36, who was found stabbed at her home in Portsmouth in January. Victoria Arthur, 44, of Milton Road, entered a not guilty plea at Winchester Crown Court this morning. Julie Palmer, 53, of Westminster Place, pleaded not guilty at a previous hearing to assisting an offender. Both women are due to stand trial on 4 October. We have been hearing more stories this morning about people caught up in the disruption caused by a drone at Gatwick airport.